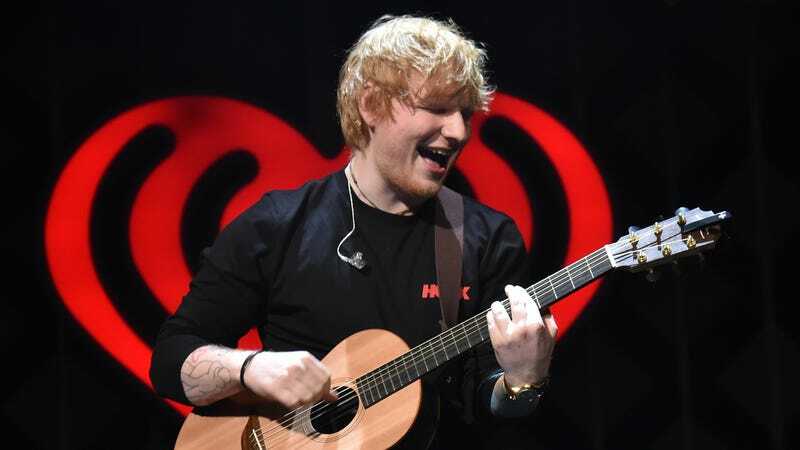 Carey and Golden are being represented by Richard Busch, the attorney who won the “Blurred Lines” lawsuit for Marvin Gaye’s family and who also recently faced off against Sheeran in a lawsuit over his song “Photograph.” Sheeran ended up settling in that case, with the THR story noting that he gave up a “significant share of royalties” as part of the deal. Shortly before agreeing to that settlement, he also granted a songwriting credit on his hit “Shape Of You” to “No Scrubs” writers Kandi Burruss, Tameka Cottle, and Kevin Briggs, getting out ahead of any lawsuits that might have otherwise popped up. This news comes as there’s also been some kind of discussion between Lana Del Rey and Radiohead’s people, with her saying that the band’s lawyers wanted “100 percent” of the publishing rights to her song “Get Free” over its similarities to “Creep”—a claim that the band’s lawyers have mostly denied. Perhaps this is just a hot time of the year for big music-based copyright infringement lawsuits? You can hear “The Rest Of Our Life” and “When I Found You” below.